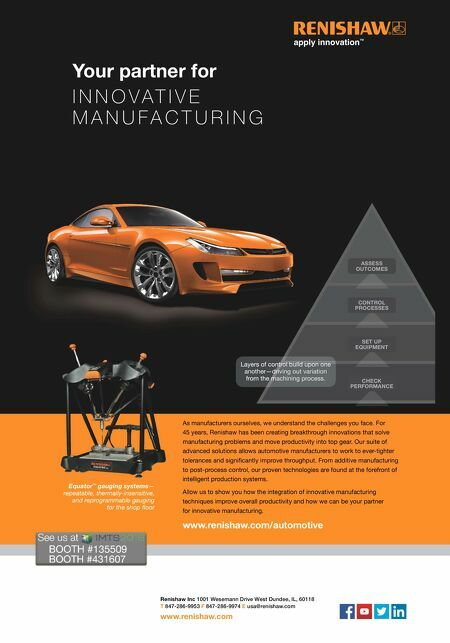 BETTER PRODUCTION MMS JUNE 2018 136 mmsonline.com ERP SOFT WARE Cloud-Based ERP Consolidates Quoting, Enables Mobile Management The machine tool is the heart of a job shop, but while a beating heart can keep the body breathing, it takes a brain to get any work done. Enterprise resource planning (ERP) software provides a shop with the interconnected nervous system that enables it to organize and plan its business effectively. With the advent of cloud technology, it can even improve a manager's work/life balance through mobile access to shop data. 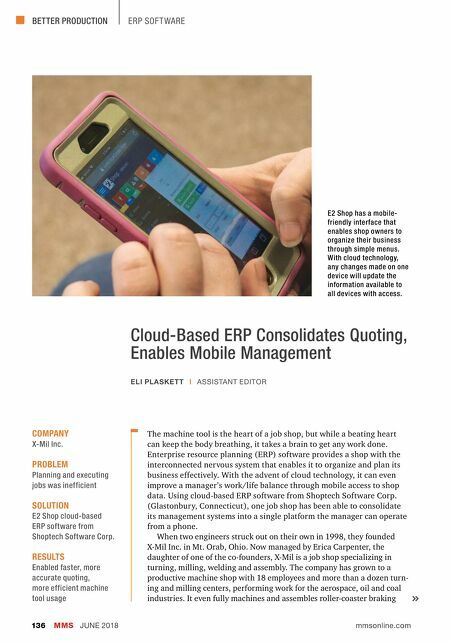 Using cloud-based ERP software from Shoptech Software Corp. (Glastonbury, Connecticut), one job shop has been able to consolidate its management systems into a single platform the manager can operate from a phone. When two engineers struck out on their own in 1998, they founded X-Mil Inc. in Mt. Orab, Ohio. Now managed by Erica Carpenter, the daughter of one of the co-founders, X-Mil is a job shop specializing in turning, milling, welding and assembly. The company has grown to a productive machine shop with 18 employees and more than a dozen turn- ing and milling centers, performing work for the aerospace, oil and coal industries. It even fully machines and assembles roller-coaster braking COMPANY X-Mil Inc. PROBLEM Planning and executing jobs was inefficient SOLUTION E2 Shop cloud-based ERP software from Shoptech Software Corp. RESULTS Enabled faster, more accurate quoting, more efficient machine tool usage ELI PLASKETT | ASSISTANT EDITOR E2 Shop has a mobile- friendly interface that enables shop owners to organize their business through simple menus. With cloud technology, any changes made on one device will update the information available to all devices with access.